✔ AVAILABLE IN OTHER OPTIONS - Want extra ice molds? 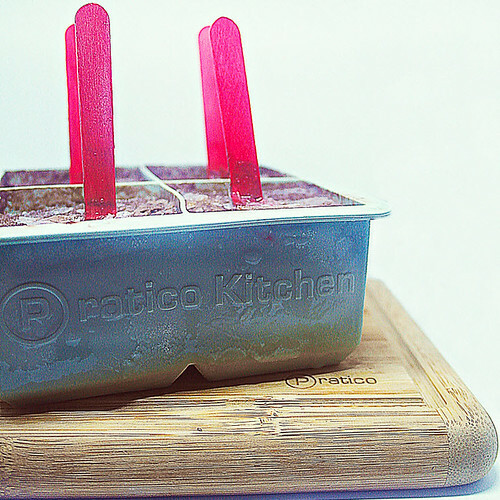 Check out the 1-pack large ice cube mold. Need a cover? This 2-pack large covered and stackable ice cube mold keeps your ice trays covered and fresh. Putting ice in your beverages is the best way to enjoy a cool drink. The one drawback of traditional ice cubes is because the cubes are smaller it require more cubes to keep the temperature down. More cubes with smaller surface area means more melting and less drink in your drink. Praticube's custom ice cube tray mold makes 4 extra-large (and one of the largest on the world wide web) ice cubes at a whopping 2.25 inches (most ice cube trays top out at 2 inches). Having one larger ice cube rather than several small ice cubes means you have more surface area to cool your drink and more heat that is required to melt the cube which means the ice sticks around longer. Each cube can last up to 4 hours. Because each Praticube tray is made from durable and BPA-free, food safe silicone this means you can use it for all kinds of cubes like coffee cubes, tea cubes, juice cubes, chocolate cubes, and more. The only limit is your imagination.